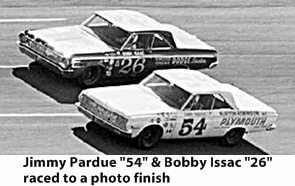 1960s Sports – Auto racing in the U.S. in the 1960s and today is divided into two basic groups, stock car racing and Indy car racing. 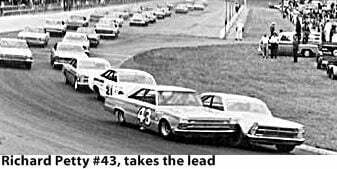 Stock car racing started as the name implies by racing cars that come right off the showroom floor with some modifications. This actually started in the 1940s when moonshiners would soup up their cars to be able to outrun the Police while they were delivering the illegal liquor. It grew into a sport, primarily in the South and then slowly gained national recognition and popularity. 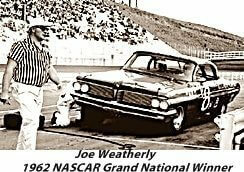 Nascar (National Association of Stock Car Racing) is the sanctioning body. Indy car racing on the other hand uses cars which are specifically made for racing and cannot be purchased from your local car dealer. 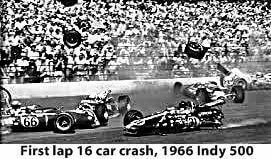 The sport grew out of dirt track racing and was heralded along by Tony Hullman who just happened to own a large oval race track in Indianapolis Indiana that was suitable for the faster race cars. 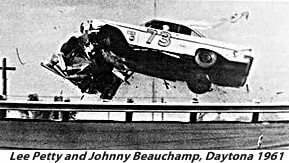 The governing body is the USAC (United States Auto Club)and was founded by Hullman. 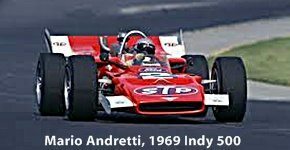 Formula One racing also utilized Indy type cars but the racing circuit only had one race in the U.S. with the rest of the races being held primarily in Europe.